In our family, we frown on impulse buys. We try to make thoughtful, prayerful purchases so as not to squander our resources on things that won’t actually have a lasting benefit. But last December, I made an impulse buy over which I continue to marvel at the impact. I purchased a prophetic worship veil from a friend who was making and selling them for a limited time at a discount. Something in me just said, “Get that, now.” I ordered one immediately. I like to think of it as a Holy Spirit inspired impulse buy. The veil arrived in a beautiful bag with a personal note written on a scroll and with a name, “Precious One,” written on the card. I began been using the veil in my morning modern dance workout/prayer time. I would toss it over my shoulders or hold it loosely in one hand and move with it as I did the steps of my morning routine. Other times, I would move out into spontaneous dance and prayer. I found that moving and praying with the veil drew me into a place of intimacy and worship with the Lord that opened my heart in a new way. And I loved the beauty and emotion that the veil added to the modern dance movements I had been doing for years. At the same time, I joined a study group led by a friend of mine in which she led us through active morning devotions. She assigned simple actions to take each morning in prayer in response to the scriptures we were studying. Through the movements she instructed us to do, I found myself hearing the Lord speak to me from the scriptures in a new way. Sometimes I would end up weeping. Other mornings, I entered into times of extended prayer. And other days, I rose up after just a few minutes of reflection and prayer, refreshed, entering my day with a completely new perspective on a situation that had been troubling me. These active devotions served as guides for me, deeper into scripture, revealing to me into my own heart and helping me hear the Lord’s voice more clearly. I couldn’t wait for each new morning and each new assignment so I could encounter the Lord fresh for each day. So, I wanted to share this with others, to help others really engage with the scriptures in a way that touched their minds, emotions, and spirit by engaging their bodies. I wanted others to hunger for their morning devotional time and to leave it having encountered and heard from the Lord. 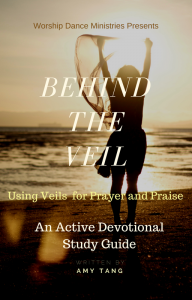 I also wanted to help others learn to incorporate prophetic worship veils into their devotions, knowing from experience that the Lord uses them to draw us into intimacy with him. On top of all that, I wanted to help others learn to use veils in modern dance, knowing that doing so would add beauty, emotion, and power to their choreographed dances. 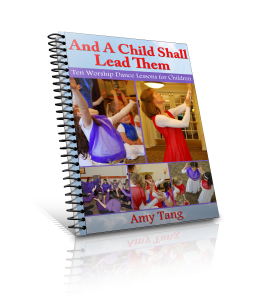 So, I started a month long study group to which I invited other worshiper dancers. I called it an active study group because it was to include in-depth bible study but would be active, engaging not only their minds and spirits, but their bodies. These Over the course of a month, we together studied scriptures relating to veils and worship. The Lord gave me activations for each day. We did word studies, prayed together, and shared what the Lord was teaching us. I created videos to explain how to add veils to modern dance movements. It was a powerful month of study and worship for each of us. When the month ended, I knew that others would benefit from this active study guide. I belived that this active study guide was part of the reason the Lord prompted me to purchase a veil that day in December. 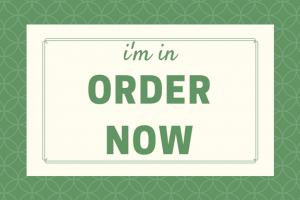 So, I put everything together in an Ebook in a format that is easy to use. The activities and suggestions for study are meant to be able to be done in as little as ten minutes, but have depth enough that you may linger with a truth or an exercise for longer, as you are led. Access to weekly prayer calls with Amy throughout the month of September. Here, you will have live access to me, may receive prayer, and will hear from others who are also on this journey with you.